We are hiring for Unit Managers, Junior Counselors, and Waterfront Managers. Questions: Contact Shasha McCracken or call 830-331-8868. To apply online, click here or download the pdf . Applications must be turned in by May 10, 2019. This is a paid contract position as a unit manager who will oversee junior counselors and C.I.T’s. You must enjoy working with children ages 5-12 and teenagers 13-17. This position requires good organization, attention to details, and good oral/written communication skills. Attendance at planning meetings is required. Reliable transportation is required. Previous experience working in a camp environment or child care is required. This position is high in responsibility and management of multiple people and activities. This position will report to the Assistant Camp Director. This is a paid contract position as second in command of camper groups. You must enjoy working with children ages 5-12 years of age and have a general love of nature. This position requires patience, flexibility and high energy. Previous experience working in a camp environment or day care is preferred. Attendance at planning meetings is required. Reliable transportation is required. This position is high in responsibility and overseeing young children. This position will report to Unit Managers. This is a paid contract position as manager of water related activities at the creek. You must have a current life guard certification and enjoy working outside in a moving water environment. This position is high in responsibility and overseeing young children ages 5-12. The Waterfront Manger is responsible for the set up and break down of all water front activities. This position will report to the Assistant Camp Director. All staff must attend training, June 3 - 7, 9am - 3pm. 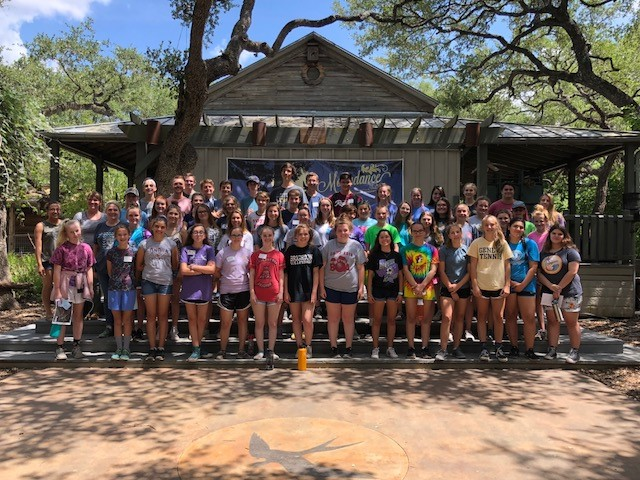 Staff training includes: First Aid and CPR certification, Child Safety, Managing Child Behavior, Waterfront Safety, Camp Programs and Schedules, Cibolo Nature Center and Farm Policies and Procedures, Risk Management, and Texas State Requirements for Camp Certification.